The reliability of SEMG has been documented in studies and confirmed with The New York Chiropractic College, The Mayo Clinic, and University of California, Irvine. 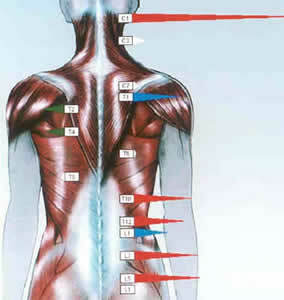 Most of the spikes are on the right showing major pulling of these muscles cmpared to the left side at the same spinal levels. Less tension and better balance on the next scan. Not at all. It is totally non-invasive does not cause pain or irritation. This makes it totally safe for children, pregnant women or seniors. It simply requires the placement of small sensors against the skin. The test takes less than a few minutes. Muscles have a tendency to “brace” in response to spinal misalignments known as Vertebral subluxations. 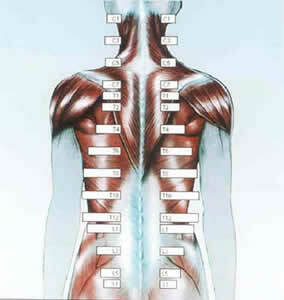 These subluxations create nerve interference which may effect muscles, blood vessels and internal organs. To assist your chiropractor in finding the cause of your problem. Vertebral subluxations reduce your body’s ability to maintain optimal health. When Vertebral subluxations are present, the nervous system is negatively effected resulting in increases or decreases in muscle activity. 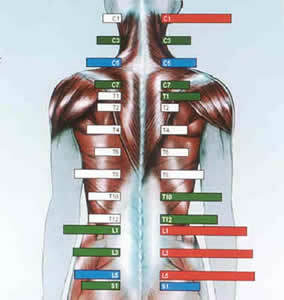 The SEMG shows the muscular component of the Vertebral subluxations. The Chiropractor’s job is to detect and correct these Vertebral subluxations by a simple and effective procedure called an “adjustment”. The Chiropractic Adjustment has many positive benefits to your nervous system. In most cases, the SEMG normalizes and balances. The information from your SEMG will help your Doctor of Chiropractic determine the type of care best suited to your case. Follow up testing is used to monitor and evaluate your Chiropractic progress.